When it comes to spending time at home, you want your home to feel comfortable, bright and upbeat. One of the best ways to brighten your space is by adding color. Take a look at these 5 Great Ways to Add Color to Your Home! Creating an accent wall is a fun way to add color to your space. Try pulling out one of the brighter colors in your décor and use that color for your accent wall. Even if it’s an especially bright color, using it on only one wall will generally be the perfect touch. If you’re feeling a bit more adventurous, you can create a more graphic wall accent with wallpaper, as seen above. Either way, you will have made a great addition to your home. Everyone needs lighting in their home, so selecting your lighting is a great opportunity to bring color into your space. 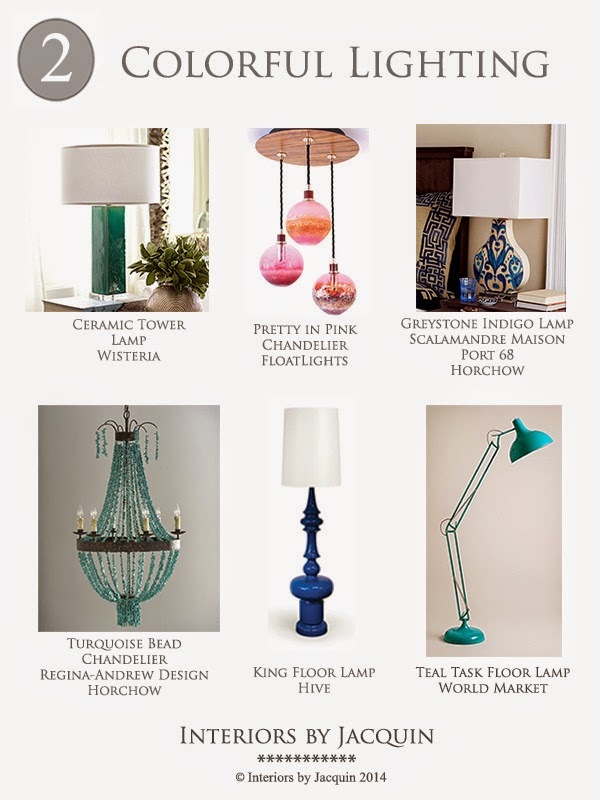 Whether you’re looking for a table lamp, chandelier, or floor lamp, I’ve got the perfect, colorful light fixture for you! 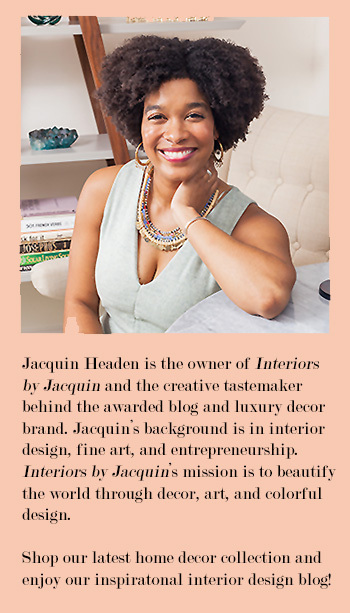 Take a look at my top picks for brightly colored light fixtures! My primary rule for decorating is to have at least one work of art up in each room. It’s a fun way to add color to a room and also show your personality based on your art taste. Here are two budget art finds from Z Gallerie and Ikea to get you started on a fabulous gallery wall! 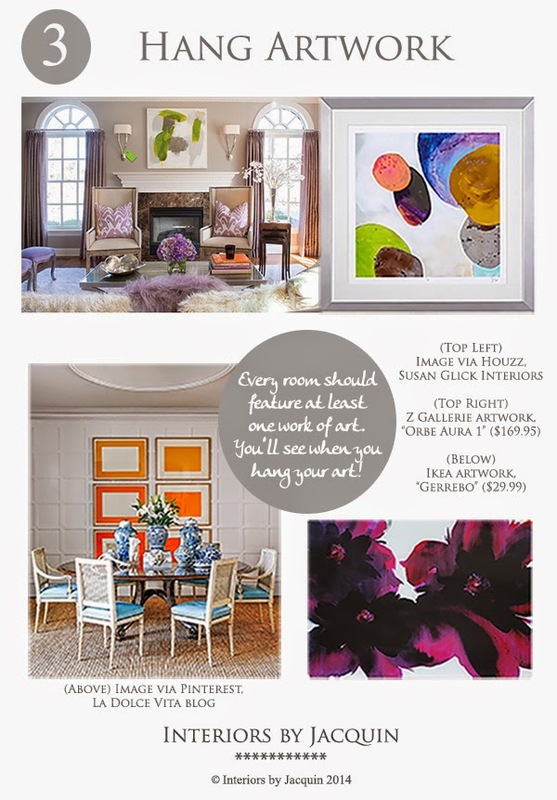 Take care to select artwork you really enjoy, as you’ll find that it will instantly be a focal point in your room. It’s easy to see how wall artwork can be an attractive focal point from the lovely room designs above, both featuring stunning wall art. Bring the outdoors inside with the natural beauty of plants and flowers! Just take a look at the impact colorful plants have on these beautiful rooms below! 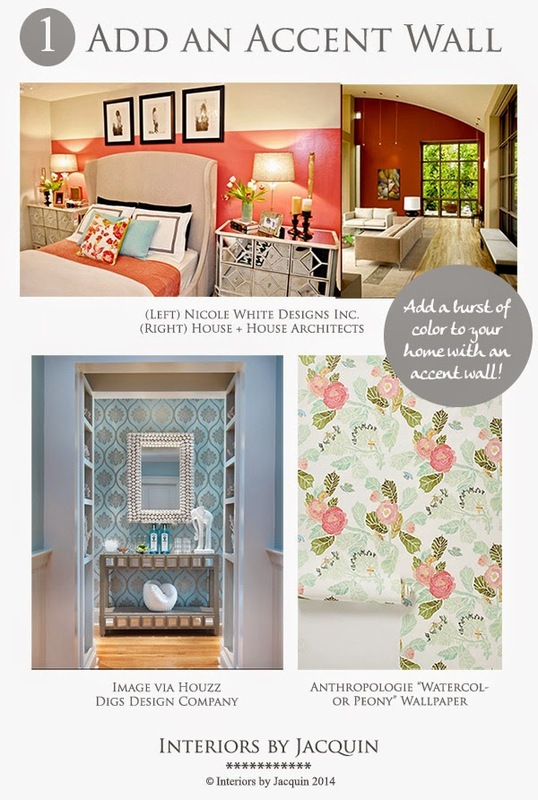 If you love a do-it yourself project, you may just want to try your hand at creating the brightly colored, branch and floral headboard featured here. Simply tie strings of flowers onto a large sized branch and then adhere the branch to the wall above your bed. A unique and special feature for the nature lover and DIY crafter! If you don’t have a green thumb try planting cactus in brightly colored flower pots. Cactus is easy to care for, so a great houseplant choice for beginners, and its rich green color is sure to add to your space! Not feeling like trying your hand at gardening? Don’t forget you can simply pick up some richly hued flowers and greenery at the market and place them in vases around your home. The more the merrier and don’t be afraid to mix and match flower colors! I hope this has inspired you to add some color to your home!